Looking for a way to get classes started quickly and increase the learning time? 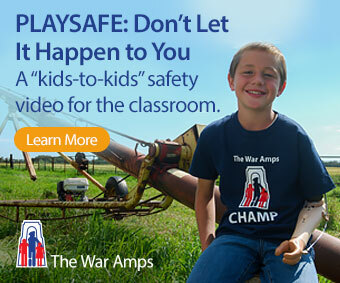 Wanting to find a way to leave playground behaviour on the playground? Finding that late-arriving students often disrupt the learning? If these (or any similar issues) are causing you to stop and consider, you might find that building specific routines around transition times will be an effective technique for creating a more positive learning environment. Regardless of their age or grade, all students need to know what the behaviour expectations are in your classroom. This is particularly true of the many periods of transition that occur throughout the school day (a high-risk time for unwanted “events”). When are these transition times? How do I establish the routines? Once you have a complete list of transition times that occur in your classroom, you will need to think through the routines you want to establish for each one. With that done you are ready to take the plan to your students. Choose one transition time to start with. Discuss with your students the need to establish a routine. Have your students help you to establish what the routine will actually look like. Model the routine for the class (remember to check back to the chart to make sure that all the criteria have been met). Have several students volunteer to model for the class. Have the class practise the routine until the pattern of behaviour has been established. This may take some time. Consistent teacher expectations and encouragement will help to build and maintain these patterns. From time to time during the course of the school year you might want to revisit this process. As you are ready, repeat this process for the other transition times on your list. What routines will work well for students when entering the classroom? The following three suggestions are provided to give you a starting point. They work well with primary classes but the content can easily be adjusted to fit the needs of older students. Clothes pegs glued to magnets make good name tags and can also be used as clips to hold work samples and other papers on to the chalkboard. These questions are designed to build confidence. They can be curriculum based with support (for example a wall map of Canada can be provided for geography questions) or they could simply deal with housekeeping duties. Greet the students at the door as they enter the classroom (a friendly way to start the day plus it helps ensure that playground behaviour is left outside). Have each student leave his/her backpack, coat, etc. in their designated spots. Have each student walk straight to the chalkboard, read the morning question and then leave his/her name tag under the chosen answer. Have each student go straight to his/her seat and begin to read from the book bag left on the desk. Reading time could be 10 to 20 minutes depending on the age of the class. Set the class a goal for this independent reading time (e.g., How many pages can you read today? Is this book fiction or nonfiction? What connections can you make to this book? Who is the main character in your book?). Circulate while the students are reading. This is a good time to “ check in” on students, listen to them read and to allow for late arrivers to get settled. At the end of the reading time have each student turn to a partner and discuss how they met the reading goal today. If there is time, some students could share their responses with the larger group. Go over the agenda for the day which could be printed on the board or a chart for all of the students to see. Point out any transition times. Have the students move to sit on the floor in their designated spots in front of the chalkboard (refer to the criteria chart for this transition if needed). Have one student read the morning question. 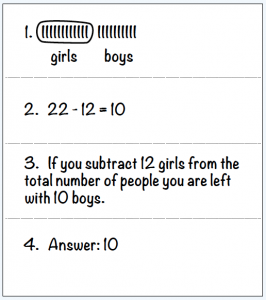 Have all of the students count (out loud) the number of responses under the first answer. Tally the results and then do the same for the other answers. Record the arithmetic sentence on chart paper (over time the chart will become a record of how many ways to add digits to equal the number of students in the class). Deal with any discussion that might arise from this process before proceeding with the morning lessons. NOTE: This is also a way to take the attendance for the day. On Friday choose one of the weekly tallies (from the chart) to convert into a graph. Model a bar graph on the chalkboard. Provide each student with an empty graph and have them transfer the data to it. A duo tang or folder would be a good place to store these weekly graphs. Over time, other types of graphs can be introduced and eventually the students will be able to complete the graphs without adult support. a strip of paper with space for the 12 questions to be printed and answered (or a notebook dedicated to this activity) and a pencil (left on the students’ desks at recess time) for each student. The questions can be from any area of the mathematics curriculum (depending on the grade level) but should be easily and quickly solvable. 2. How many pennies are there in a dollar? 4. How many girls are in class today? Greet the students at the door (to ensure that the recess socializing ends during this transition time). Have each student leave his/her coat in the designated spot. 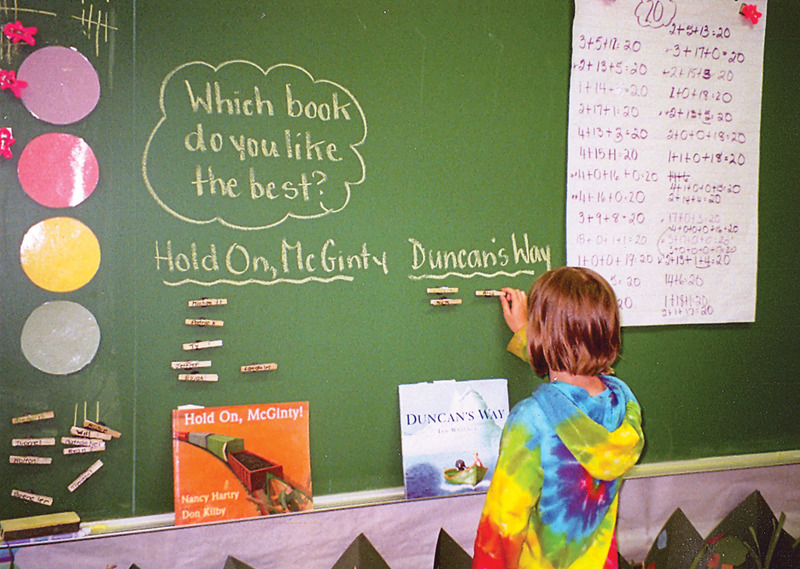 Have each student go directly to his/her own desk to copy, and then solve, the twelve questions from the chalkboard. After 12 to 15 minutes have each student turn to a partner and discuss his/her solution to the first question. Have some students share their answers orally. Help the students to determine the correct answer and then have the students mark their own papers. Continue until all 12 questions have been discussed. One word problem printed on the chalkboard. Word problem example: There are 22 students in our class. 12 of them are girls. How many are boys? Greet the students at the door (to ensure a quick and quiet entry). Have each student go directly to his/ her seat and read the problem on the chalkboard. Have one student read the problem out loud to the class. Have a second student read the problem. Check to make sure that the problem is understood. Have each student fold the paper in half and then half again. Unfold it. There are four spaces. Label each one in the corner (1, 2, 3 and 4). In the first space have each student show how to solve the problem with a picture, tally or graph (e.g., 111111111111 girls 1111111111 boys). In the second space have each student show how to solve the problem with a number sentence (e.g., 22 – 12 = 10). The third space is for a sentence answer (e.g., If you subtract 12 girls from the total number of people you are left with 10 boys). Have each student record the answer in the last box (e.g., Answer: 10). Have each student share how they solved the problem with a partner. Select a few students to demonstrate or tell how they solved the problem (or you could ask “How many people solved this by drawing a picture? Would you like to show us?”).